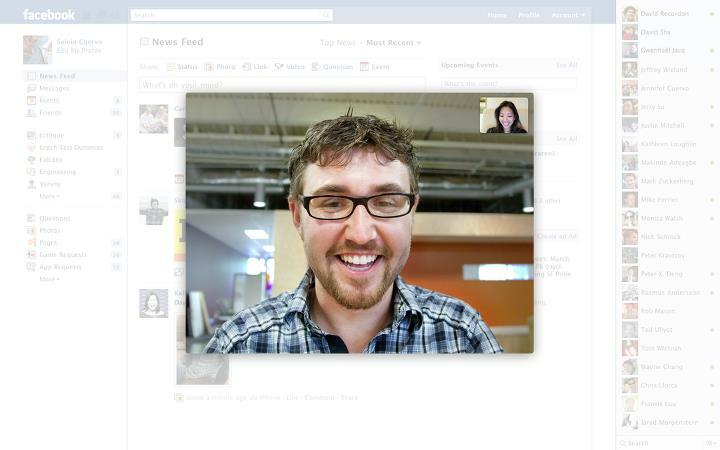 Facebook has announced a partnership with Skype that enables one-on-one video chat within the social networking website. At an event Wednesday morning at Facebook’s Palo Alto, Calif. headquarters, Facebook CEO Mark Zuckerberg introduced the video chat feature along with a new group chatting feature and a new chat user interface. 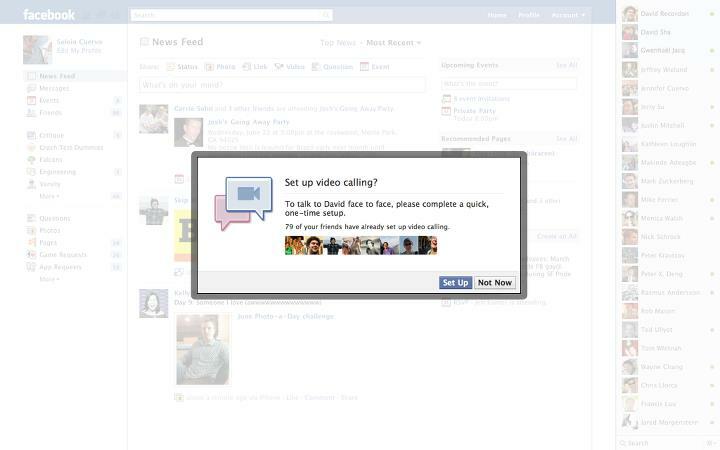 The video chat works worldwide within the Facebook website and is completely free to use. Skype and Facebook started working together approximately six months ago, well before Skype had begun to be acquired by Microsoft (s MSFT), Zuckerberg and Skype CEO Tony Bates said. 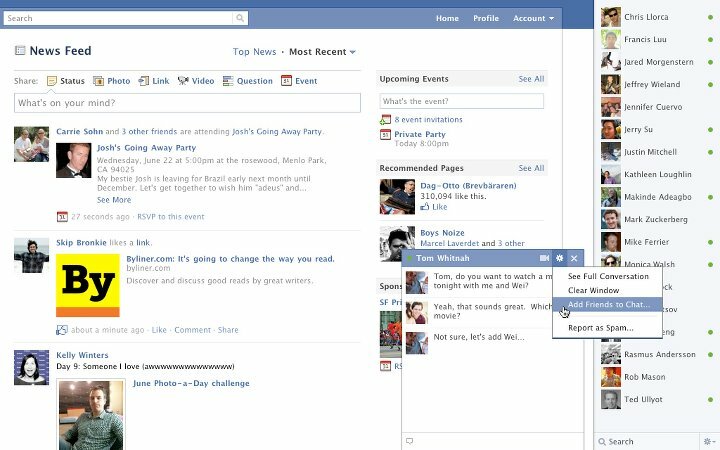 Facebook became even more serious about the feature after the Microsoft/Skype deal was announced. “We have a very longstanding relationship with Microsoft,” Zuckerberg said. The alliance with Skype is indicative of how Facebook plans to go about launching new features in the months ahead — through partnerships, rather than in-house development. 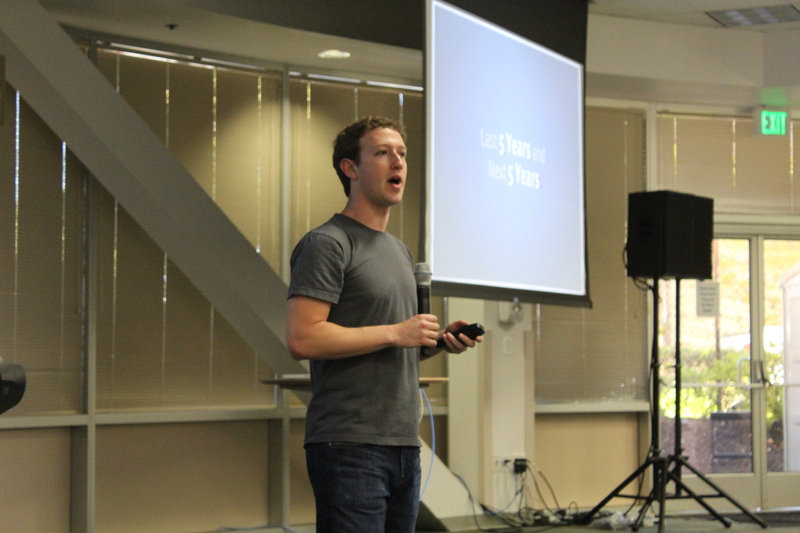 “This is symbolic of the type of way we’re going to do these things,” Zuckerberg said. “We want to leave as much as possible to independent entrepreneurs and companies who are going to be best in class at doing these things.” Facebook is going to continue to focus on maintaining and building the social infrastructure that underlies new apps, rather than on building the apps themselves. “We build the infrastructure, and we’re years ahead in wiring it up,” said Zuckerberg. This “new chat” is useless! All I can see is a huge sidebar with a list of names of friends that aren’t available, no scrolling, no way to see who is available! Wow, why would they mess it up this way and leave it, it’s been weeks now! I really wish you would learn to stop fixing what isn’t broken-all you do is break it! GET RID OF THE NEW CHAT!!!!! I CANNOT USE FACEBOOK WITH THIS JUNK ON IT. Yeah…. I am facing the same problem. Infact the layout itself has changed. Now when we try to scroll, only the wall section scrolls down and up, unlike the older version where the entire page moved. Also on the left hand side where it used to show friends who were online, it does not show any thing. Would like some help. How can i get rid of new chatline I hate it alsoWould like the old version back.Give ppl an option instead of forcing new stuff on them. If i wanted the stupid chat I wouldn’t have turned it off in the first place. I wish there was an obvious way to turn it off because I have no desire to chat. Seriously – the new “chat” feature is BEYOND ANNOYING!! It doesn’t work – EVERY time you go to another page it pops up, again, showing you online and available to chat (whether you are or not!!) and the only way to get rid of the effing thing is to go through all the steps – over and over and over…TAKE IT OFF! IT DOESN’T WORK!!! please can you tell us how to disable the new chat. its annoying and doesn’t work efficiently at all!! you can only see some people online, not everyone. it doesn’t make any sense. can you change it back as fast as possible. you can keep the whole video thing, just change it back to the previous layout! almost all you’ve got it negative feedback, take a hint! the new chat bar is a disaster. please fix a.s.a.p. all of a sudden my facebook chat is weird! It shows EVERYONE…I only need to see the people that are online….I want to get rid of it! I hate the new facebook chat side bar. It’s very annoying and you can’t see all friends that are online. Please tell me there’s a way to change it back to the old version! Colleen, I was reading couple of your articles and they’re just amazing. I’m glad to see a person which such an attitude and will to do something different in a positive way. Very simple, very informative an all that I cans say is just keep up good work. Thank you for the nice feedback, Tony! Appreciate it. Did anyone find out how to disable it yet? Umm agreed…it’s so frustrating. Why do I need to see a bunch of friends listed in “chat” that aren’t even online? How does that make sense? It’s maddening that there isn’t a way to get it to just show who’s actually online. If I talk to certain people more than others, put them in a separate “group” or something. Don’t make it so you ONLY show those people…someone please fix this fast!